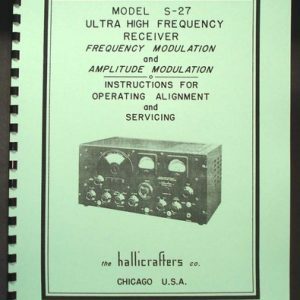 For sale is reprint of Hallicrafters Model S-78 AM FM Receiver Manual. 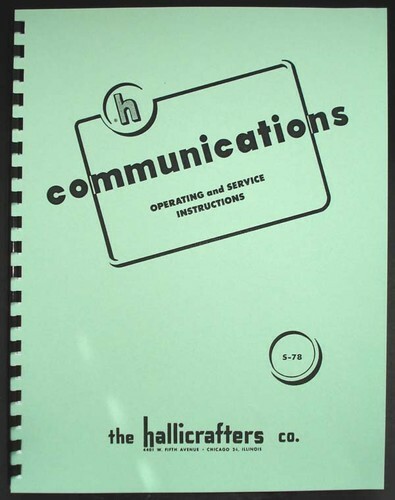 Manual is 10 pages long and includes 11×17 foldout of circuit digram. 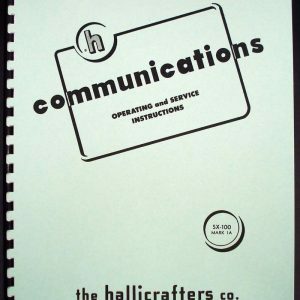 Manual consists of 5 sections, General Description, Installation, Operation, Service Instructions and Alignment. 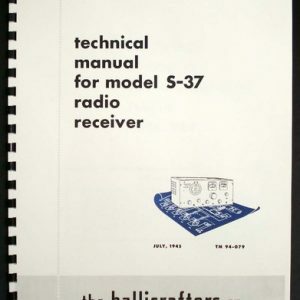 Comes with Diagram and Diagrams of bottom and top of the receiver with part locations. 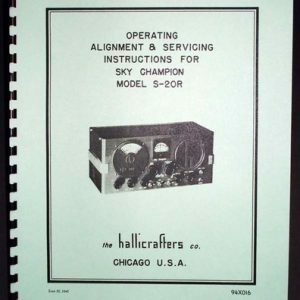 Must for every owner of this receiver.